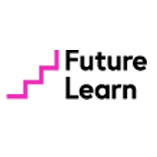 FutureLearn is a private company wholly owned by The Open University, with the benefit of over 40 years of their experience in distance learning and online education. Their partners include over 20 of the best UK and international universities, as well as institutions with a huge archive of cultural and educational material, including the British Council, the British Library, and the British Museum. End-of-Life Care for People with Dementia 3 hours a week , 3 weeks long 3 hours a week , 3 weeks long 22nd Apr, 2019 No reviews yet. Programming 101: An Introduction to Python for Educators 2 hours a week , 4 weeks long 2 hours a week , 4 weeks long 22nd Apr, 2019 No reviews yet. Preparing for an International Health Elective: Exploring Global Health, Ethics and Safety 2 hours a week , 3 weeks long 2 hours a week , 3 weeks long 22nd Apr, 2019 No reviews yet. Non-Invasive Prenatal Testing (NIPT): An Introduction for Healthcare Professionals 2 hours a week , 3 weeks long 2 hours a week , 3 weeks long 22nd Apr, 2019 No reviews yet. Managing Innovation: Learning to Prototype for Business 2 hours a week , 3 weeks long 2 hours a week , 3 weeks long 22nd Apr, 2019 No reviews yet. Measuring Entrepreneurial Impact 3 hours a week , 2 weeks long 3 hours a week , 2 weeks long 22nd Apr, 2019 No reviews yet. Learn Jazz Piano: III. Solo Piano and Advanced Topics 4 hours a week , 6 weeks long 4 hours a week , 6 weeks long 22nd Apr, 2019 No reviews yet. Introducing Assessment for Learning 3 hours a week , 3 weeks long 3 hours a week , 3 weeks long 22nd Apr, 2019 No reviews yet. Battery Storage Technology: Opportunities and Uses 3 hours a week , 3 weeks long 3 hours a week , 3 weeks long 22nd Apr, 2019 No reviews yet. Teaching Practical Science: Physics 3 hours a week , 3 weeks long 3 hours a week , 3 weeks long 22nd Apr, 2019 No reviews yet. Programming 102: Think Like a Computer Scientist 2 hours a week , 4 weeks long 2 hours a week , 4 weeks long 22nd Apr, 2019 No reviews yet. Supporting Successful Learning in Primary School 3 hours a week , 4 weeks long 3 hours a week , 4 weeks long 22nd Apr, 2019 No reviews yet. Supporting Successful Learning in Secondary School 3 hours a week , 4 weeks long 3 hours a week , 4 weeks long 22nd Apr, 2019 No reviews yet. Introduction to Accounting and Corporate Finance 6 hours a week , 4 weeks long 6 hours a week , 4 weeks long 22nd Apr, 2019 No reviews yet. Teaching Practical Science: Chemistry 3 hours a week , 3 weeks long 3 hours a week , 3 weeks long 29th Apr, 2019 No reviews yet. Blended Learning Essentials: Digitally-Enriched Apprenticeships 4 hours a week , 2 weeks long 4 hours a week , 2 weeks long 29th Apr, 2019 No reviews yet. Migration and Cities 3 hours a week , 3 weeks long 3 hours a week , 3 weeks long 29th Apr, 2019 No reviews yet. Leadership Coaching through Turbulent Times: Playing with eFIRE 3 hours a week , 3 weeks long 3 hours a week , 3 weeks long 29th Apr, 2019 No reviews yet.